You did it! You survived another Chicagoland winter. It seemed like it would last forever, but it is over and now you can enjoy warm weather again. Now that spring is here, and summer is around the corner, it’s time to make sure that your vehicle is ready for the change in seasons as well. In this post, we share our spring car maintenance checklist to get you and your car ready for summer driving. Wiper blades should be replaced every 6-9 months because they directly affect your visibility and safety. Check your tires for wear. Uneven wear on your tires can indicate an alignment issue. Your tire pressure can fluctuate during cold weather so it should be checked after winter. A change in seasons is always a good time to get an oil change to keep your car running efficiently. Dirty air filters can waste gas and cause the engine to lose power. Make sure your belts and hoses are not cracked, brittle, frayed, loose or excessively worn. Now is a great time to check the levels of all your vehicle fluids. 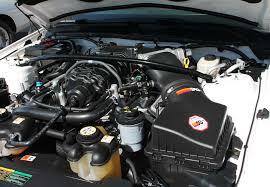 If you take your car in for a professional oil change, make sure they are checking fluid levels. Inspect your brake linings, rotors and drums for wear. Check your air conditioning now instead of waiting until the first 90-degree day to find out it’s not working. Check if there is a defect in your vehicle on the National Highway Traffic Safety Administration (NHTSA) website at nhtsa.gov/recalls by using the VIN look-up too.